A Chain of Moments / ¡MONK, you KNOW!? BBBB feat Thomas Gansch "Trumpet Tales"
„Barbara’s writing has so much imagination and sophistication. 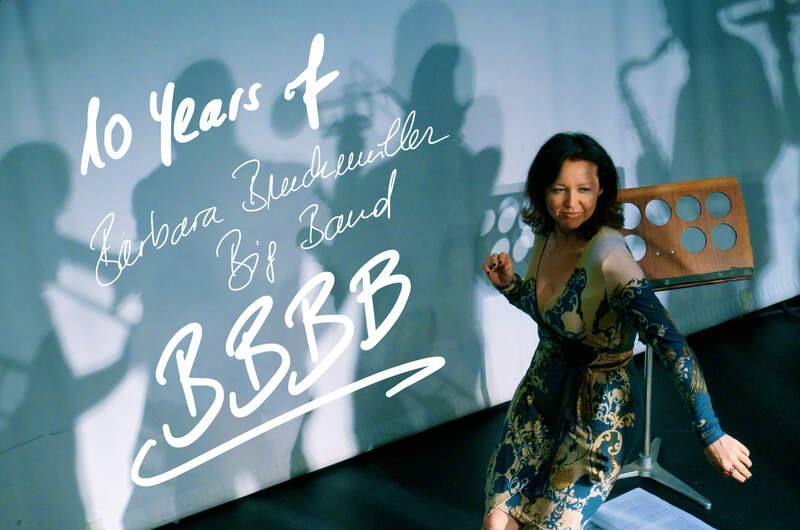 It have been 10 years since the first concert of the BBBB - Barbara Bruckmüller Big Band - which took place at Porgy & Bess, Vienna. After all this years, still Barbara Bruckmüller‘s passion for the orchestra is still alive. 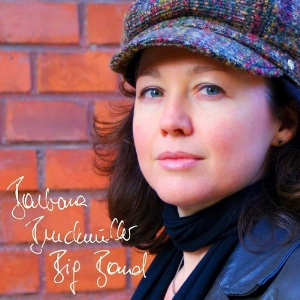 In 2013 her first CD „Barbara Bruckmüller Big Band“ was released, filled with her own compositions. It was rewarded with the german award „Deutscher Schallplattenpreis“. 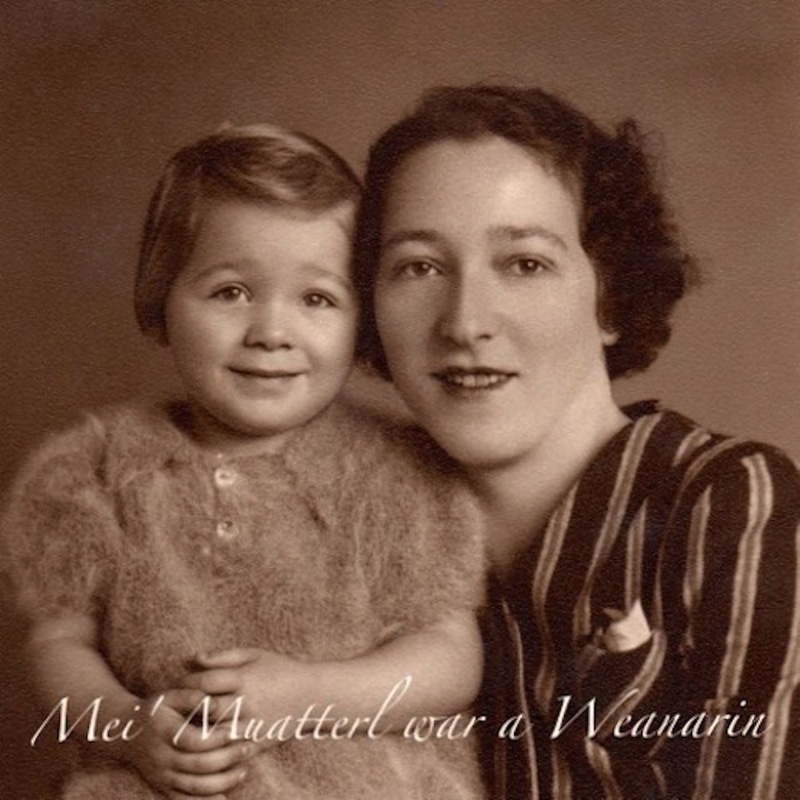 On her second recording, a tribute to her late mother, the Viennese composer connected traditional viennese songs with the swing feeling and arranged them for the big band. 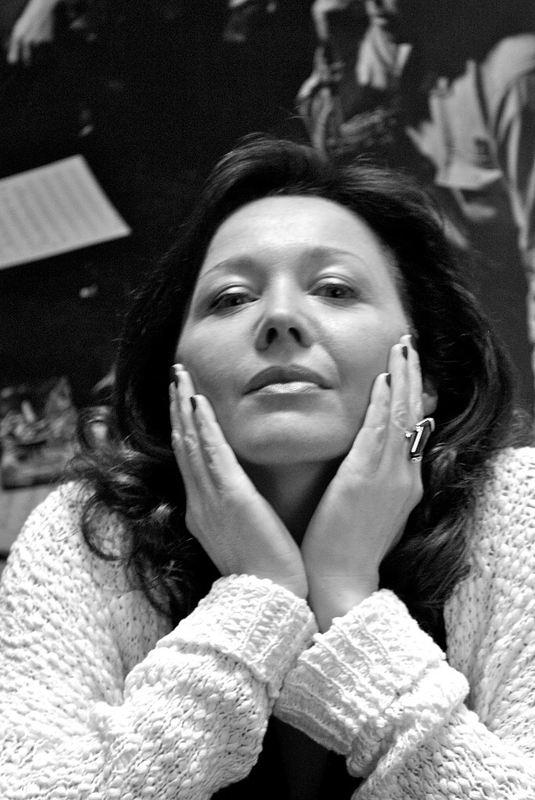 The same year Barbara Bruckmüller took over the Porgy & Bess Stageband series for the season of 2015/16. In particular for spoken word artist Wadud Ahmad from Philadelphia, as well as for the accompaniment of a silent movie, for which she wrote the music, she reduced her ensemble to a small big band of 10 to 12 musicians. Special guests like New Yorker singer Tony Hewitt or Austrian trumpeter Thomas Gansch were admitted to the Big Band. Tony Hewitt came to Vienna for two evenings - one of them was dedicated to Frank Sinatra‘s centennial and the other one was a tribute to Ray Charles. Thomas Gansch was scintillating at the „Trumpet Tales“ which were written for him by Klaus Wienerroither. A seperate concert was held to the female band members Viola Falb and Swantje Lampert, highlighting their compositions. The Big Band includes great musicians and rising stars of the Austrian jazz scene. It even had international musicians with them like the late Brasilian bass player Paulo Cardoso, who was already part and parcel of the band and not only left a big void musically but also as a human. For the latest program of Barbara Bruckmüller „A Chain of Moments - Suite in five parts“ and „¡MONKuKNOW! ?“ the Big Band was extended by four strings and hence became a jazz orchestra. For this purpose she was governmemt-sponsored by the BMUKK with a grant for composition. The premiere took place in February 2018 at the Porgy & Bess. Still in the year of 2019 this project is said to become the third recording of the big band. With that over a decade grown orchestra Barbara Bruckmüller is going to present previous writings and new compositions at her anniversary concert. 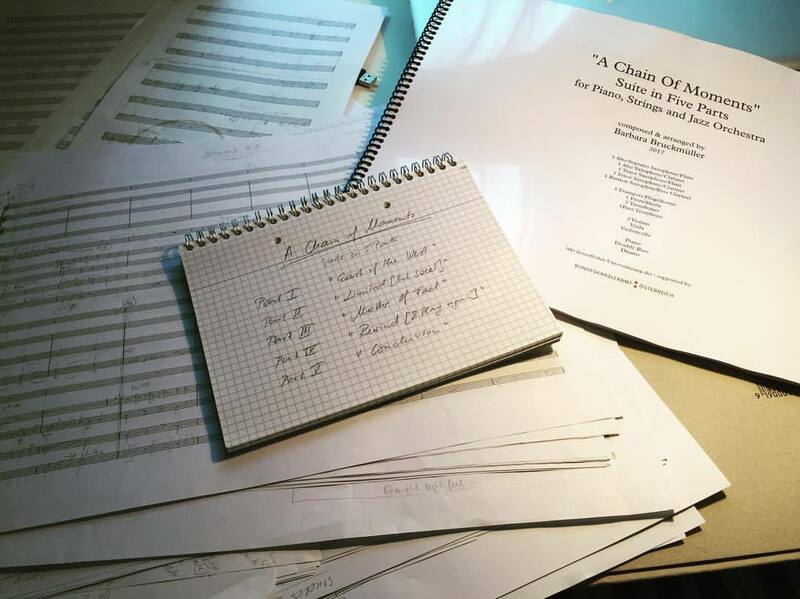 as for it is in life - full of surprises and unexpected things to happen - my plan to release the live recording of our big band concert "A CHAIN OF MOMENTS" at Porgy&Bess (back in February) will be postboned to next year due to different circumstances. Looking forward to share my music with you as soon as possible!! Barbara Bruckmüller Big Band A Chain of Moments // MONK, you KNOW!?! So, what happened till know? Well, I finished my new program for 2018 which is called "A Chain of Moments - Suite in five parts for Piano, Strings and Jazz Orchestra". The premier of it is going to be in February 2018 (date will be out and confirmed soon) at Porgy&Bess, Vienna. As well a Suite I wrote for Thelonious Sphere Monk's Centennial this year entitled "MONK, you KNOW!?!" - also for Piano, Strings and Jazzorchestra premiered in February 2018. 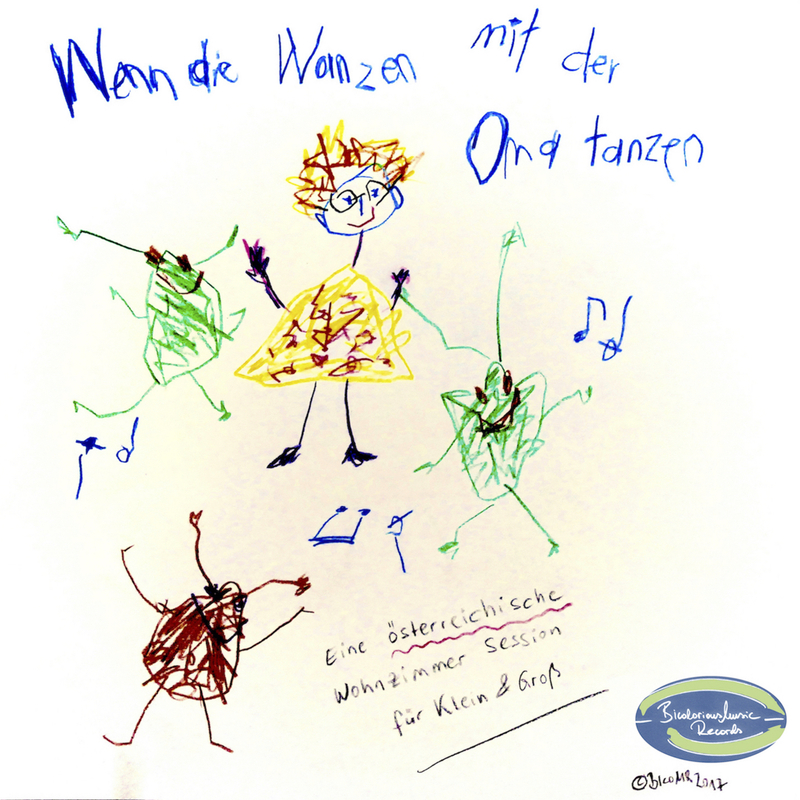 "Wenn die Wanzen mit der Oma tanzen" - Alte und neue Kinderlieder - nicht nur für Kinder. Eine österreichische Wohnzimmer Session. And then the first recordings for "The Su'Sis" did happen in October at Soundbakery, for which I wrote the arrangements. Exciting!! So, stay tuned and keep swinging! First off all I want to thank the Bundeskanzleramt für Kunst und Kultur Österreich for supporting me with a grant for composing (einmaliges Arbeitsstipendium für Komposition) for the first half of 2017. With that I‘m going to write some new programs for the Big Band. 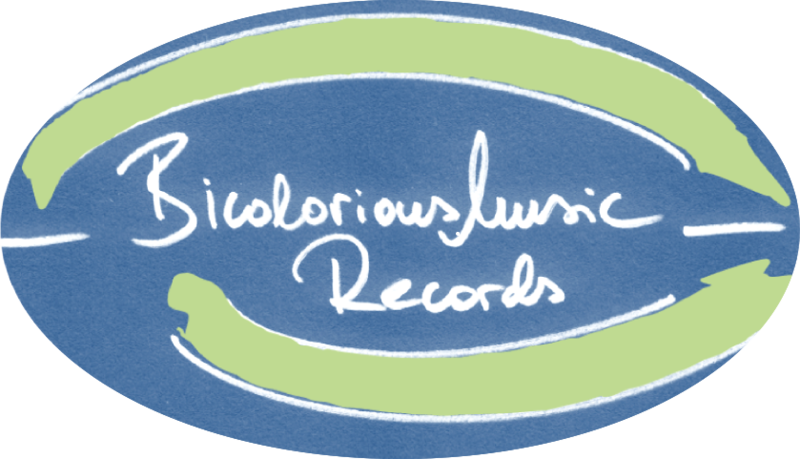 Right now I‘m finishing arrangements for The Su‘sis, three singers which are following the path of the Boswell Sister‘s. Take a look on their site and stay tuned with them - they also have something great coming up this year. Further I‘m in the process of making a music video to one of my „Wienerlied“-CD tracks. This should be ready to watch in March. Then something totally different in style&music comes up - I‘m going to record a children‘s song CD (in „österreichisch“ - our austrian german...lol ) with my friend Barbara Stark, who also sang on my „viennese songs“ album.